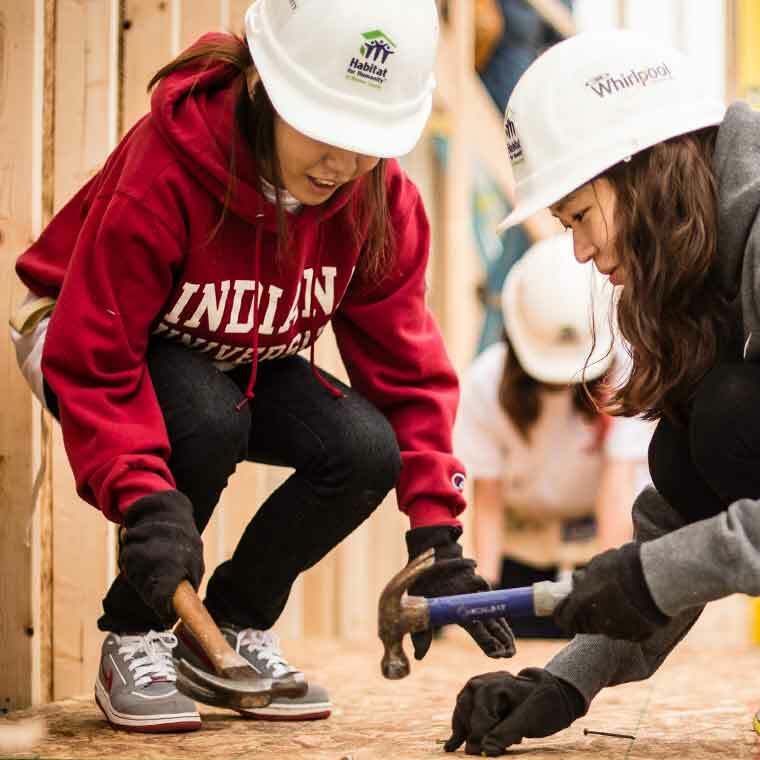 The IU experience involves more than getting a great education. When you become a Hoosier, you’ll join a spirited community of students from all over the world. And you’ll discover all the ways you can learn, grow, and get the tools and experiences you need to succeed. 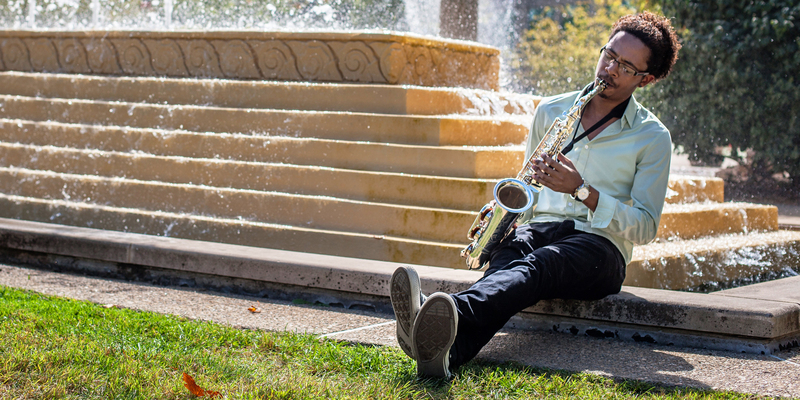 So start exploring—and see why you belong at IU. Whether it’s comedy or consulting, modeling or martial arts, service or skiing, you have a campus and city full of ways to do what you love. You’ll also build your resume, grow as a leader, engage in meaningful work, and meet others who share your interests. This isn't just a place to go to college for four years—this is Indiana. We are classmates, neighbors, and we are a family. You’re not just a Hoosier for the four years you are in Bloomington. You’re a Hoosier for life. Our traditions date back to 1820 and connect Hoosiers with nearly 200 years of history. 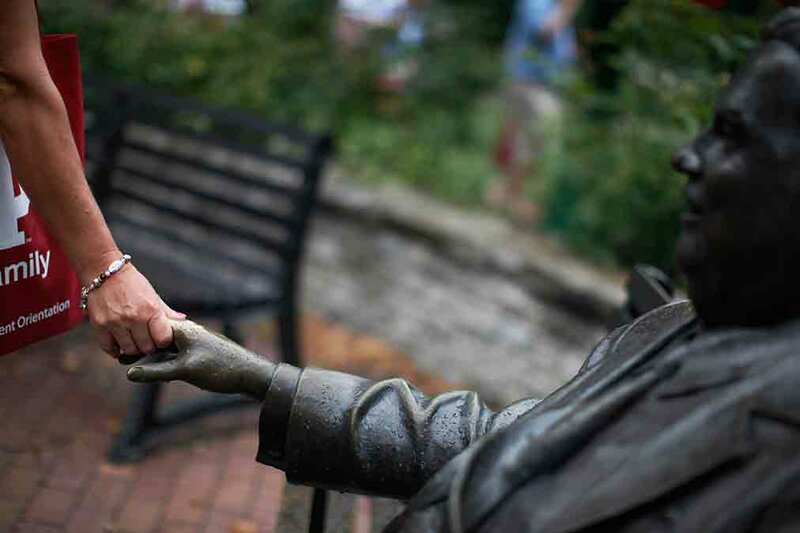 Touch the hand of the Herman B Wells statue for good luck. Attend the Little 500 bicycle races. Wear the candy-striped pants. These are the traditions that make you a Hoosier for life. Athletics and school spirit are huge here. From candy-striped pants to the best timeout in college basketball to knowing what to do when someone chants “Hoo-Hoo-Hoo” (you yell “Hoosiers!”), you’ll pick up on these traditions. Your first step: learn how to do the fists and blades. Join a community dedicated to the arts where you’ll have more than 1,500 performances to choose from each year. From ballets to operas, Broadway shows to cinema productions, IU offers students the chance to experience award-winning performances. 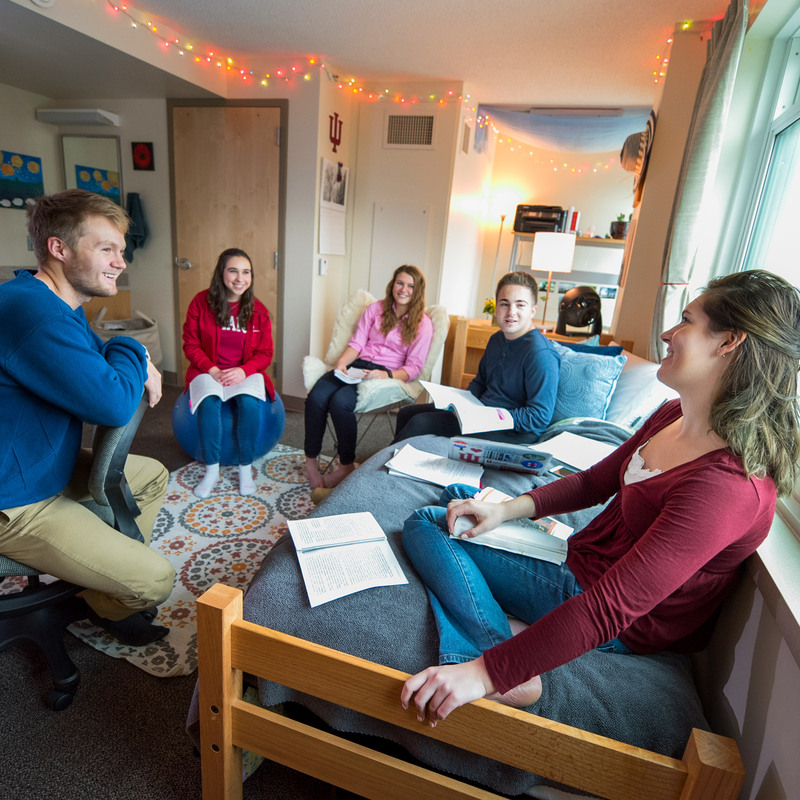 First-year students live on campus for a good reason: you’ll be closer to classes and campus events, get more involved in student organizations, and make friendships that will last long after your first year. You’ll have plenty of housing options too—with four neighborhoods and more than 20 learning communities, you’ll definitely find your perfect fit. Bloomington offers students the comfort of a small town with all the culture and excitement of a larger city. Whether you want to sample international cuisine, hike miles of trails, or attend thrilling concerts, Bloomington has so much to do and see.